Dr. Janice Skowron is an educational consultant specializing in differentiated instruction and reading and writing development. She has her own website to advertise her services and workshops. She also provides free resources on the web available as word files about "Literacy development". If you are interested in increasing literacy in your classroom, there is information on vocabulary development and reading comprehension strategies. 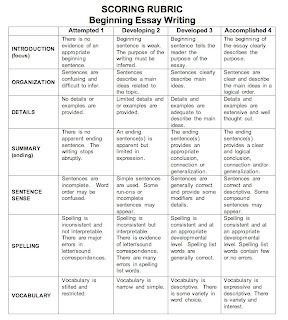 There are also rubrics to help you with the assessment of informational essays, journal writing and story writing. Although Dr. Skowron is located in Illinois, the rubrics follow the four levels used in Ontario, so they may be used easily by Canadian or American teachers. The following documents are also available: How and Why Graphic Organizer, Brain Chain Organizer, Read Reflect Connect, Quick Write Organizer, Understanding Connecting Explaining. All the documents are in Microsoft Word format, so they may be modified to better suit your needs. On her website, she also advertises her book including: "Differentiated Instruction: Guided and Independent Learning for All Students" and "Understanding Stories". August 19, 2008 at 6:41 a.m.